Third time lucky, as they say. 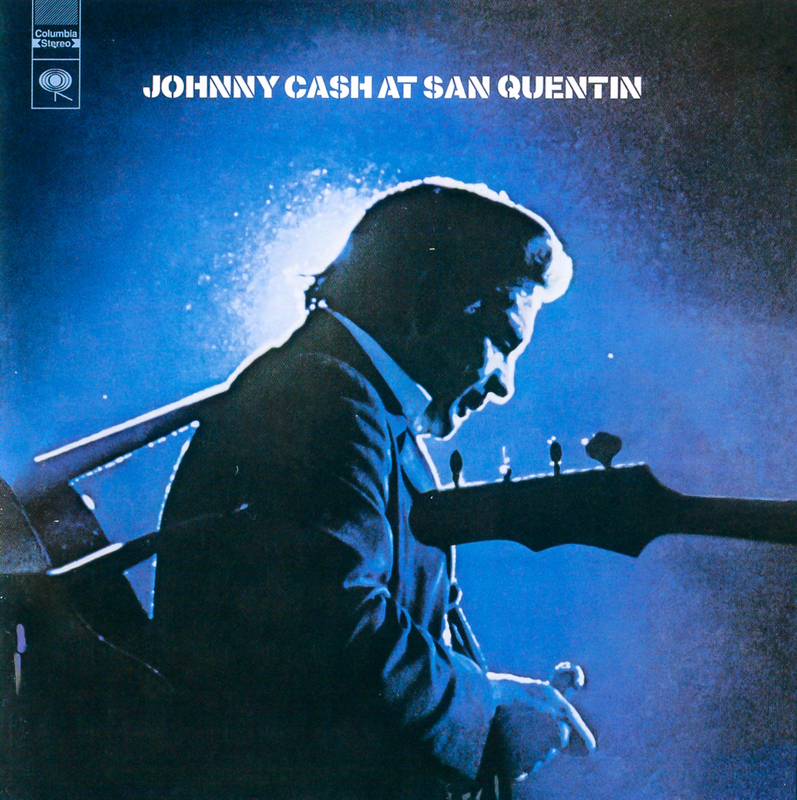 This reissue of Johnny Cash's infamous 1969 concert at San Quentin Prison improves on the long box reissue of 2000 by adding 13 previously unreleased tracks to the 10 from the 1969 original: the (almost) complete set performed to the inmates. This is the entire gig played by Cash and his band, including material by guest artists Carl Perkins, The Statler Brothers and The Carter Family. As with the previous reissue, it's accompanied by the fine one-hour Granada documentary that revolves around the gig, juxtaposing Cash's apparently effortless onstage charisma – he'd been doing prison shows for fifteen years by this time – with often-solemn interviews with the inmates. So it's Carl Perkins' voice we hear first, reprising his evergreen 1956 hit "Blue Suede Shoes". The Statler Brother's "Flowers On The Wall" from 1965 ironically sounds more dated but their lead singer's introductory banter almost matches June Carter's risqué commentary ('So if you will just sit back and relax and get your hands out of each others' pockets...'), introducing two previously unheard gems on which she leads The Carter Family. Sandwiched between is the utterly hilarious "June Carter Cash Talks To The Audience", which makes it clear she might have made it as a stand-up comic. Cash himself doesn't appear till track 6, with "Big River". The man's authority is immediate, and the backing band of drummer W.S. Holland, Marshall Grant (bass) and Bob Wootton (guitar) really start to cook with the frantic rockabilly beat of "Wreck Of The Old 97". Another highlight is Cash's performance on the similarly upbeat "Orange Blossom Special" with his dextrous harmonica-switching performance illuminated on the companion DVD. You can almost hear June Carter smile through her words as she duets with the love of her life on "Darlin' Companion" and "Jackson", but the slightly bedraggled ending suggests why it didn't appear the previous reissue. Nevertheless, it effectively conveys the energy and excitement. It's all nicely repackaged, and remastered of course, but the highlight of the extensive sleevnotes has to be Marty Stuart's interview with Cash's kindred spirit, Merle Haggard, then an inmate at San Quentin! All in all, a superlative reissue.